The Apex Court in a significant judgment rendered today held that in the name of artistic freedom or critical thinking or generating the idea of creativity, a poet or a writer cannot put into the voice or image of a “historically respected personality” like Mahatma Gandhi, such language, which may be obscene. A Bench of the Supreme Court comprising of Justices Dipak Misra and Prafulla C Pant was considering the appeal preferred by a bank employee who had challenged the framing of charges against him for publishing an alleged "vulgar and obscene" poem- 'Gandhi Mala Bhetala Hota' ('I Met Gandhi') using the name of Mahatma Gandhi in an in-house magazine of the Bank of Maharashtra Employees Union in 1994. The Supreme Court however refused to express any opinion on whether freedom of speech included the freedom to offend, though the said point was specifically urged by the appellant. The Court however said that freedom of speech and expression “has to be given a broad canvas, but it has to have inherent limitations which are permissible within the constitutional parameters”. appellant- the publisher and the printer, respondent no.3, of the Bulletin and the author, one Vasant Dattatraya Gujar. When the matter was pending before the Chief Judicial Magistrate, Latur, all the accused persons filed an application for discharge and the learned Magistrate by order dated 4.5.2001 held that no case for the offences under Sections 153-A and 153-B was made out and accordingly discharged them of the said offences but declined to do so in respect of the offence under Section 292, IPC. On a revision being filed, the Additional Sessions Judge did not think it appropriate to interfere with the order passed by the Magistrate which constrained the accused persons to invoke jurisdiction under Section 482 of the CrPC and the High Court of Bombay, Aurangabad Bench dismissed the application. The said decision was the subject of matter of the appeal by special leave at the instance of the publisher. The author had chosen not to assail the order passed by the High Court. It also sought the assistance of Senior Advocate Fali Nariman in the matter. Mr. Gopal Subramanium, senior counsel appearing for the appellant submitted that the poem does not use obscene words and it does not come within the ambit and sweep of Section 292 IPC and the poet has expressed himself as he has a right to express his own thoughts in words. He also submitted that the poem actually expresses the prevalent situation in certain arenas and the agony and anguish expressed by the poet through Gandhi and thus, the poem is surrealistic presentation. That apart, Mr.Subramanium contended that the poem, as one reads as a whole, would show the image or the surrealistic voice of Mahatma Gandhi, is reflectible. He further submitted that apart from two to three stanzas, all other stanzas of the poem uses Gandhi, which may not have anything to do with the name of Mahatma Gandhi. Mr. Nariman, amicus curiae, per contra, submitted that the poem refers singularly and exclusively to Mahatma Gandhi in every stanza. 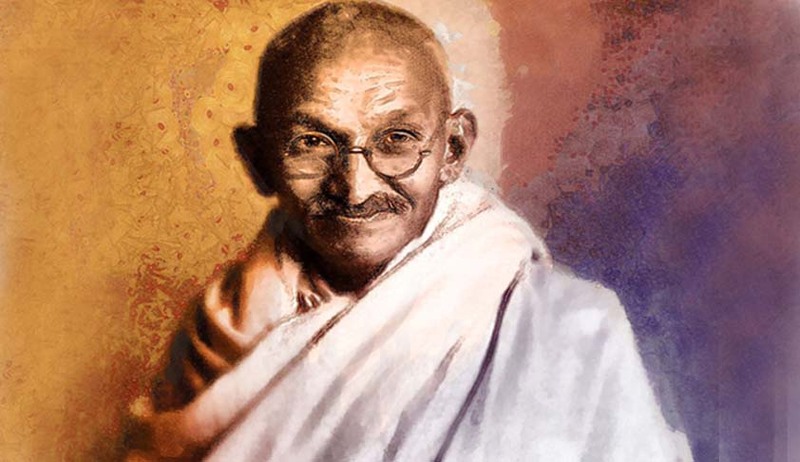 Mr. Nariman added that the words that have been used in various stanzas of the poem,if they are spoken in the voice of an ordinary man or by any other person, it may not come under the ambit and sweep of Section 292 IPC, but the moment there is established identity pertaining to Mahatma Gandhi, the character of the words change and they assume the position of obscenity. To put it differently, the poem might not have been obscene otherwise had the name of Mahatma Gandhi, a highly respected historical personality of this country, would not have been used. He said the poem does not subserve any artistic purpose and is loathsome and vulgar and hence, it comes within the sweep of Section 292 IPC. Observing that in determining ‘obscenity’ under Section 292 IPC, the test evolved by the Apex Court, which holds the field today is the ‘contemporary community standards test’, the Court said, in that context, the words used or spoken by a historically respected personality is a medium of communication through a poem or write-up or other form of artistic work gets signification. Though the Bench accepted the proposition that one can express his views freely about a historically respected personality showing his disagreement, dissent, criticism, non-acceptance or critical evaluation, it said the issue in the instant case was whether in the name of artistic freedom or critical thinking or generating the idea of creativity, a poet or a writer can put into the said voice or image such language, which may be obscene. Holding so, the Court found no infirmity with the Bombay High Court judgment and left it to the poet to put his defense at the trial explaining the manner he has used the words and in what context. The court, however, quashed the criminal proceedings against the printer and publisher of the magazine in which the poem penned by Marathi poet Vasant Dattatraya Gurjar was published, keeping in mind the unconditional apology tendered by them and the long passage of time from the date of publication of the poem.